Chinese infrastructure and connectivity projects around the world have an element of "national security" and are less of an economic offer for host countries, US Secretary of State Mike Pompeo has said as Beijing is gearing to host the second Belt and Road Forum. The One Belt One Road OBOR, also called the Belt and Road Initiative (BRI), is a multi-billion-dollar project focused on improving connectivity and cooperation among countries in Asia, Africa, China and Europe. Pompeo Thursday told a Washington audience that China poses security threat to the US, its friends and allies. “They’re moving into the South China Sea is not because they want freedom of navigation. 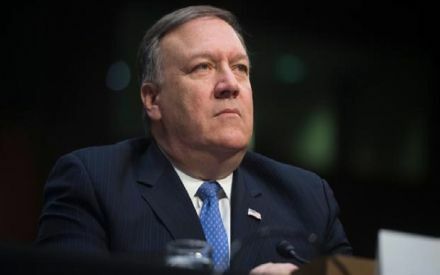 Their efforts to build ports around the world aren’t because they want to be good shipbuilders and stewards of waterways, but rather they have a state national security element to each and every one of them,” Pompeo said in conversation with Rich Lowry at the National Review Institute’s 2019 Ideas Summit. The Belt and Road Initiative (BRI) is no different, he asserted. “We’ve said this every place we’ve gone, if you talk to any of our ambassadors or our charges, they will tell you we are happy to compete on a fair, transparent basis under rule of law with the Chinese anywhere in the world. We’ll win more than our fair share, but we’ll lose some to them too,” he said. India has been raising concern over the BRI’s China-Pakistan Economic Corridor (CPEC) as it is being built through Pakistan-occupied Kashmir (PoK). The 3,000-km CPEC is aimed at connecting China and Pakistan with rail, road, pipelines and optical fibre cable networks. India too cautioned specially the neighbouring countries about debt traps. Apprehensions over the huge loans grew after China acquired Sri Lanka’s strategic Hambantota port on a 99-year lease as a debt swap. The world is waking up to this threat, the US secretary of State said. Pompeo’s comments came as China is getting ready to hold the second Belt and Road Forum (BRF) next month. India boycotted the first BRF meet held in 2017 as Beijing went ahead with the CPEC with Pakistan.